Ryan Peltier is a very artistic illustrator that I found on the blog Drawn.ca. His work is loosly drawn often using a wide mixutre of different materials. His subjects are fantsy – creatures, aliens and moonlight nights are features you would expect to find in his work. These focus’ are the reason I like his work, the colours and excitement from his work keeps me wanting more, but the childlike style brings a wonderful nostalgic feeling. His work has been featured in a few illustrator magazines, and he seems to be making quite the name for himself, receiving awards from the Society of Illustration Los Angeles. He is currently working on a masters degree in Illustration from SVA and lives in Brooklyn. However, click this Link if you wish to view his Website. Tatsuya Morino is a unique illustrator that I came across on StumbleUpon.com. His work is goth-inspired illustrations that have a very individual style that is dark and spooky. His vivid illustrations are packed with intense imagery of endless costume ideas and creepy scenarios. 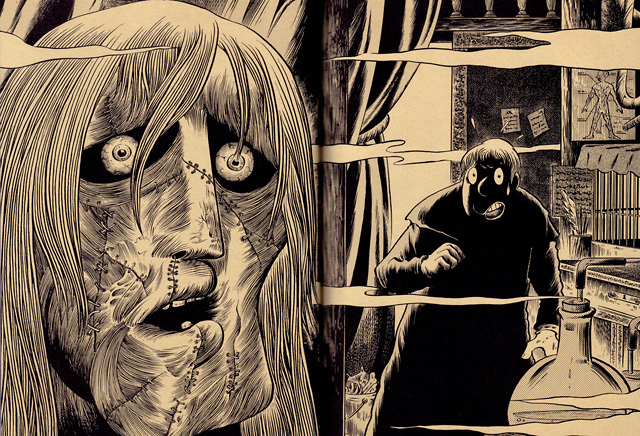 Paying homage to some of literature’s classic ghouls, making reference to Frankenstein and Edgar Allen Poe, his work is engaging and full of character and inspiration. Shapcott (www.michael-shapcott.com) is a 28 year old painting from Hartford, Connecticut. 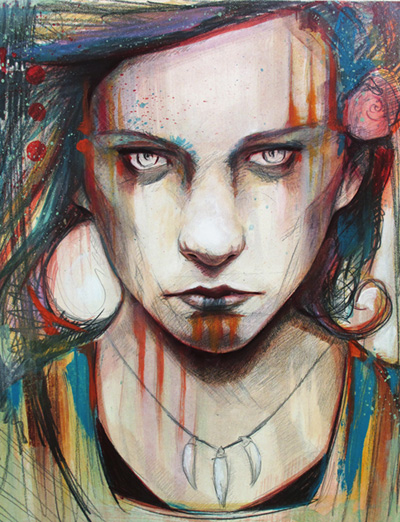 His paintings use daring colour palettes to which he creates emotionally charged portraits. “His work deals with highly detailed graphite underdrawings which he then paints with colorful washes in oil and acrylic paints.” His work has been in a number of exhibitions, all in America however, which is why I think he isn’t too heard of in the UK. I really enjoy his work because of the emotion and expression shown in the paintings by using colour. It’s all carried out so well, in a messy yet controlled manner.